Nr. 270 - Export to U.S.A.
Nr. 280 - Export to the U.S.A.
FEUERHAND Nr. 175 with rare Blackout 'cap' attachment. On the right is an extremely rare 'Paperweight - Award' possibly given to top Feuerhand Salesman. Both of these incredible models are in the private collection of J. Stanley who was kind enough to share these images with us all. 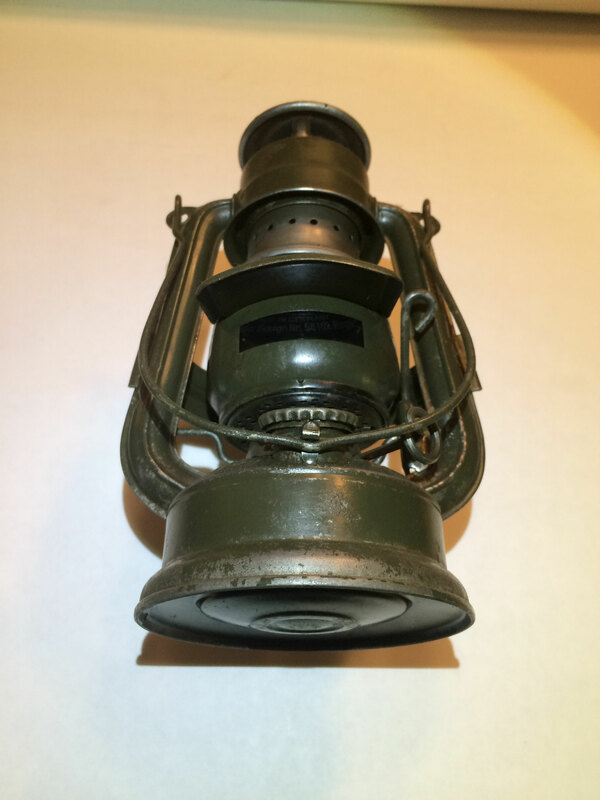 "The FH-175 is the very rare adaptation into a blackout light without the complexity and the manufacturing costs of the 176Lu. 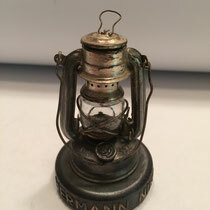 I have also included the rare 3 inch tall 175 Feuerhand paperweight. This little guy appears it could be fully functional if it didn’t have a solid cast fount. 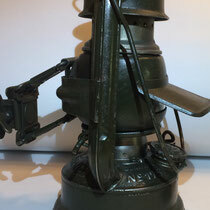 The fount cap is removable and every other function operates like its full fledged brethren. 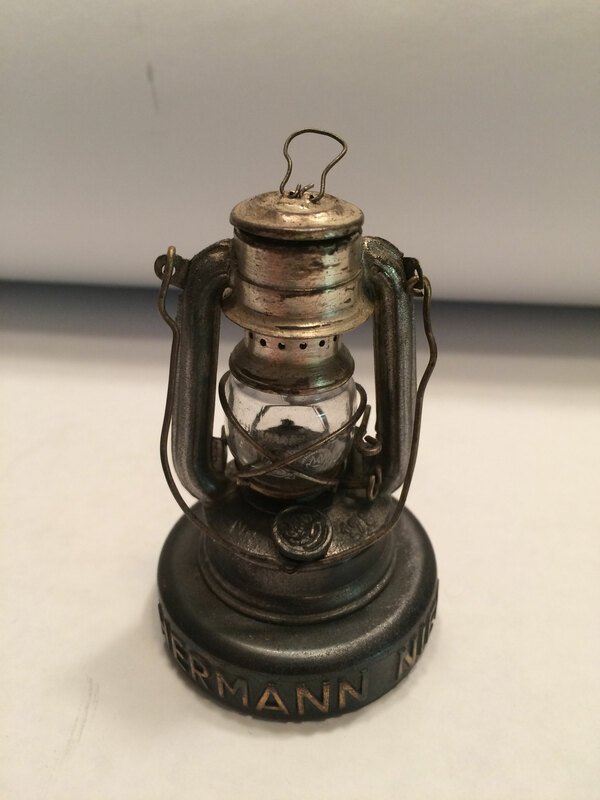 As an interesting aside, the Lantern is marked as an NR 175, however, strangely, Feuerhand chose to etch the globe as an Atom." 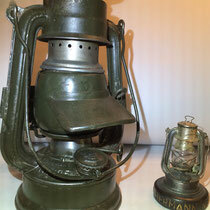 What a fine example of a German, WWII artifact. Wonderful condition. 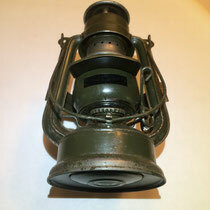 The paperweight lantern is awesome. Thank you for sharing, Jeff. Jeffrey, I am so jealous of your blackout fahrradlampe. You've got to love it's little bill. As I've said before, the "Award" lantern is to die for! Half the size of an ATOM! 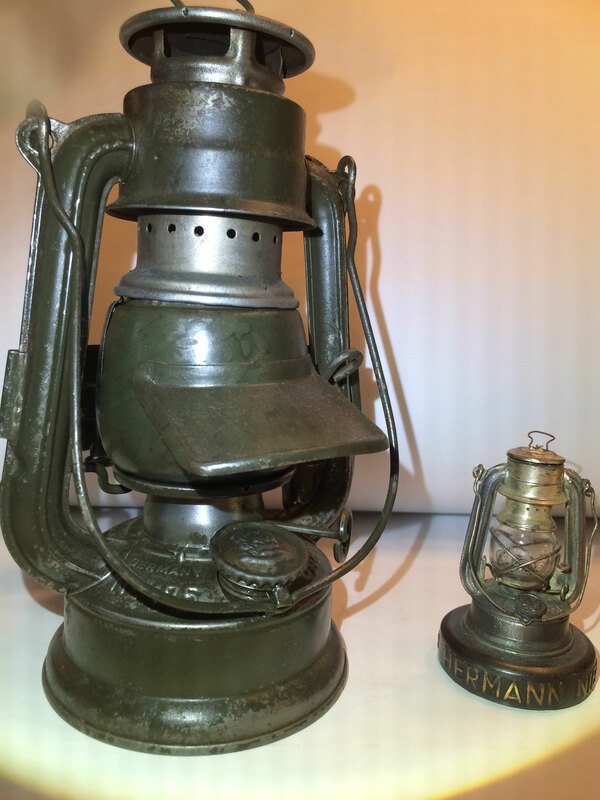 Thank you for sharing them with us on The Loveland Collection. 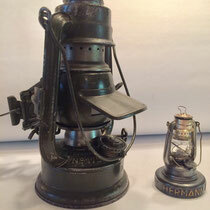 My heartfelt thanks to Mel Loveland for sharing her extraordinary Lantern Collection via this superb website. I am deeply honored to have her include a sample of my rare Feuerhands in this superb collection.. Her restorations, attention to detail, and photography talents are without exception, artistry at its finest. 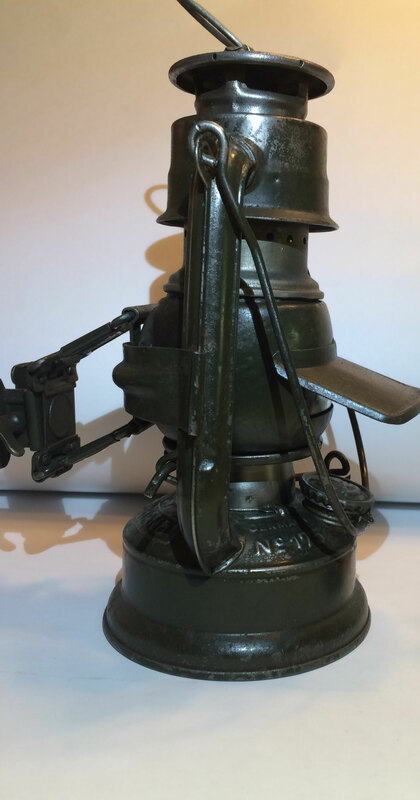 You won't find any finer examples of the old craft of lantern making anywhere else. You can almost reach out and touch them. I affectionately call her Miss Mel, as she is a dear, warm Friend whom I look upon with admiration, and quite often envy. My foremost interest is in the superior German Feuerhand, and its attendant History. However, whatever your Lantern interests may be...you've chosen the right site to see, and almost touch and feel Mel's artistry. Enjoy, my Friends, and good hunting for that special lantern as you delight in what you see here. Thank You, Miss Mel, for all you have given us! Excellence defined to be sure. 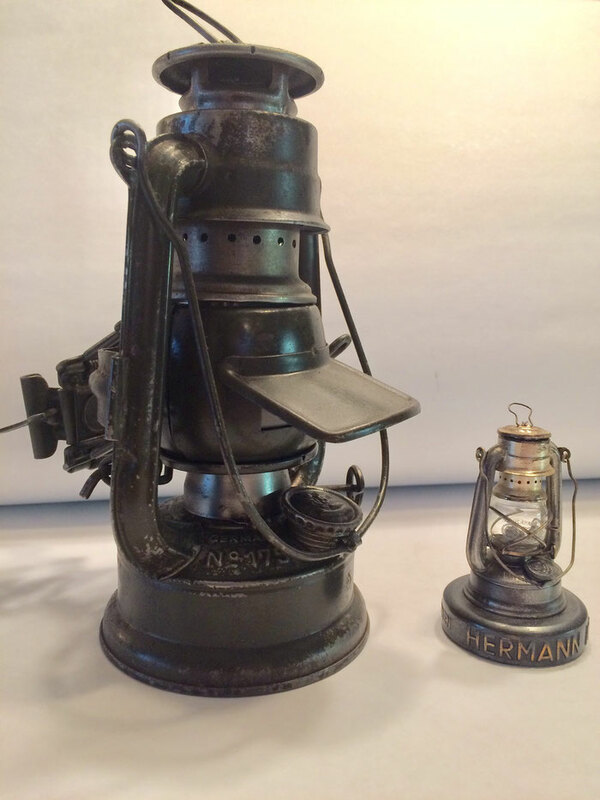 Thank you Jeff for sharing these incredible images of these very rare lanterns.